Charles Stegall | Consolidated Planning, Inc.
Charles is a graduate of the University of North Carolina at Charlotte where he earned his Bachelor’s degree in Business Administration with an emphasis in Marketing and Finance. He joined Consolidated Planning in 1990 following a career in technical sales with a Fortune 500 company. Over the past 21 years, Charles has prided himself on helping individuals, families and businesses make smart financial decisions by providing honest and unbiased factual advice. His areas of expertise include Estate Planning, Risk Management, Wealth Management and Employee & Executive Benefits. During his tenure, Charles has been recognized by various organizations for his accomplishments in the industry. He is a Qualifying Member of the Million Dollar Round Table, one of the industry’s most prestigious associations, and he is also a Qualifying Member of the MDRT Court of the Table. Charles has been a perennial qualifier of the Guardian Life Insurance Company of America’s Leaders Club and their Executive Club. 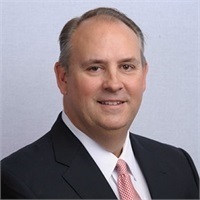 He has received numerous awards for his commitment to Consolidated Planning, Inc. among his most prized are The Charles Collier, Jr. Award received in 2004 which recognizes his commitment to his clients and the firm, and being named the 2010 Advisor of the Year. Charles is a member of the Advanced Association for Life Underwriters and the National Association of Insurance and Financial Advisors. Charles has been very involved civically as well as professionally throughout his career. He has served as Chairman of the Union County Parks and Recreation Advisory Board, President of the Union County Chapter of the American Cancer Society, and Vice President of the Monroe Jaycees. As a Registered Representative and Investment Advisor Representative with Park Avenue Securities, LLC, New York, NY, Charles holds Series 6, 7, 63 and 65 Securities Licenses in addition to Life, Accident & Health and Long Term Care Insurance Licenses. He and his wife Patsy live in South Charlotte with their 3 children. They are active members of Calvary Church in Charlotte and the Tournament Players Club at Piper Glen. In addition to spending his free time with family and collecting Vintage Red Wines, Charles is an avid outdoorsman and loves hunting, fishing and playing golf. Registered Representative and Financial Advisor of Park Avenue Securities LLC , Financial Representative of Guardian.